Isn’t it amazing that even when you have no spare money and you receive a speeding ticket, you always find the money to pay the fine before it gets bigger. If we use this principle and reverse it, we can then say “I can save money even where I think there is none to be saved”. So if you follow it, you will start saving money – won’t you? Yes. Considering so many people struggle with money and we are all on different incomes, it should be obvious that our cost of living is determined by our income. If someone else can live on a lesser income then you, can’t you live on a lesser income then you are currently living on? Of course the answer is still yes. So if this is the case, you should be able to save more or pay off debt faster than you currently are. Once you get your head around that you can take control. Here’s some easy tips to find where you can immediately make a difference in your weekly expenses. Keep your kitchen food scraps to turn in to compost. 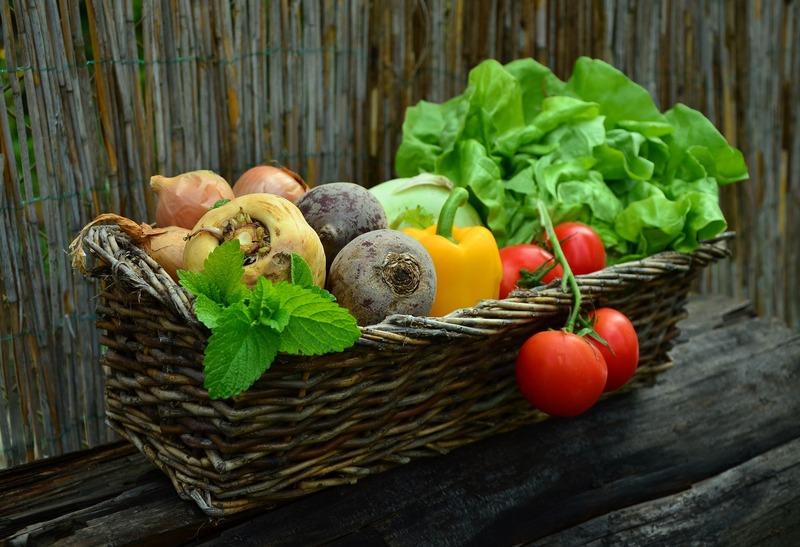 Use your own food output to save money by using it in the garden, instead of paying for these products from the produce store or gardening centre. Once you’ve given your garden a real boost from your kitchen scraps/compost, you’ll be in a great position to grow your own. Saving a couple of dollars each week by growing your own rosemary, coriander, basil, lettuce and tomatoes makes a huge difference across a whole year. A $3 fresh herb sachet verse a $3 seedling could even make you money or give you produce to exchange with the neighbours. There are options to the chemical-based products under the kitchen and laundry sink. For example, all you need is a bottle of $2 detergent to mop your tiles with, instead of the $6 branded detergent. Look up online home-made cleaning suggestions to find the most effective and cheaper alternatives available to you. Use diluted vinegar to clean your windows and kitchen benches. Use 50mL of methylated spirits in a bucket of hot water after you’ve mopped the floor to increase drying time and remove the soapy finish from your first detergent clean. Grow your own fresh flowers to gift to others on their birthday or special days. A bunch from the grocery store will still set you back $10 on sale. All you need to do is grow a couple of different options in the vege patch. This will increase both bee and butterfuly activity to pollenate your herbs, fruit and vege and give you the best home-grown gift to others when you need a quick gift fix. Also, it will improve your mood just by using your cut flowers in a vase at home or in the office. Can you review exactly where you need to drive on a regular basis? Are you combining your trips away from home to reduce your fuel bill? E.g. plan your weekly chores for one trip to cover off on all the things you need to do and follow a route that orders your needs instead of criss-crossing your way around town. Could you walk to the corner store instead of taking another drive to get that one thing you missed off the grocery list? Don’t miss another item off the grocery list, by writing it down! Taking and shopping for the list and nothing else will save you hundreds of dollars of random expenses across the year, just by planning your shop. Don’t shop hungry. Eat before you leave to ensure you don’t add in expensive junk food because you are shopping on an empty stomach. Invest in your own coffee keep cup. Not only will this help the environment, it will allow you to take your own coffee to work and keep it hotter for longer. This is to reduce the take-away temptation of a $4.50 coffee daily, replacing it with a 20c option if you use instant granules or go the non-environmental route and replace it with a $1.20 capsule. Planning to cook enough food at dinner time to create left-overs will allow to pack your lunch for the following day. When you cook large meals in bulk, it reduces your overall grocery bill therefore reducing the cost it took to make your lunch too. How many expenses do you accept in your day without question, and where could you reduce your weekly outgoing money just by changing a few habits? If you just can’t get your head around that and/or you are tired of money stress and have decided it’s time to take control, talk to a Spending Planner to find out how you can break the cycle… go to www.findaspendingplanner.com. There you will find trained Spending Planners who are extremely passionate about helping people like you. Choose one and give them a call. You have nothing to lose and lots to gain. They are non-judgemental, professionals who are trained to be able help you. A short relationship with a Spending Planner will provide you with tools and training that will benefit you for the rest of your life! And, if you already have a Spending Plan, your finances are not under stress and you know what I’m talking about, you may be interested in joining the team. If you would like to feel the satisfaction of helping someone else turn their life around and create your own business in the process you might want to consider becoming a Spending Planner too.